The story of the Three Wise Men is a well-known part of the Nativity story, but in 1951 composer and librettist Gian Carlo Menotti imagined a subplot involving these three kings, inspired by both his own childhood in Italy and the Hieronymus Bosch painting The Adoration of the Magi, from the 15th or 16th century. The result was a one-act English-language opera, Amahl and the Night Visitors, which follows what transpires when a disabled young boy, who can only walk with a crutch, and his worried mother come face-to-face with three of history's most famous royals. 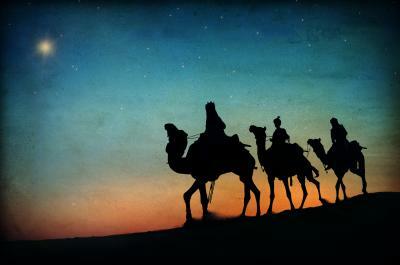 They happen to be making the last leg of their journey toward Bethlehem to pay homage to the baby Jesus. Amahl and the Night Visitors widens the scope and the humanity of the Nativity story, bringing into the fold new characters in whom we might see versions of ourselves: tale-bearing children, for example, or parents worried about money and their child's future. Yet again, the Mercyhurst Institute of Arts and Culture is instrumental in bringing a rare artistic creation to life on the stage in Erie, this time at the nearby St. Luke's church. Audiences will delight in the precocious and inquisitive Amahl, who first sees the star that leads the Wise Men to Bethlehem, and who proceeds to show great spirit, even in the presence of such daunting and richly dressed figures. When his mother attempts to steal from the Magi, it is Amahl's fierce protectiveness of her, in the face of the wretchedness of his circumstances, which moves the kings to show compassion. Amahl then makes the journey to Bethlehem and is among the first to welcome God's only living son to earth.